Leon Haslam took first blood in the 2016 MCE British Superbike Showdown by claiming pole position for Sunday’s opening race at Donington Park. Dry weather for the three-stage qualifying session saw the return of one-lap Superpole, with Haslam heading out for his flying lap last after setting the fastest ever BSB lap of Donington Park in the final knockout stage. A near perfect lap for the series leader Kawasaki rider saw him take pole position over championship rival Shane Byrne. 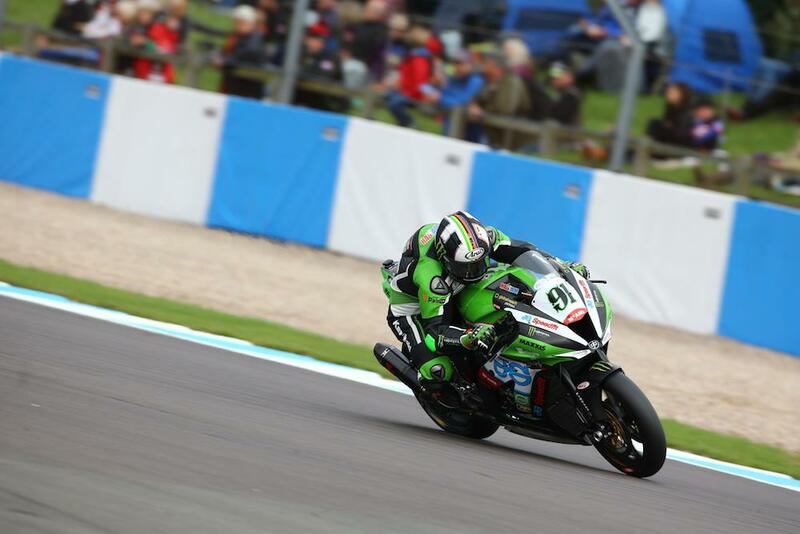 James Ellison completes the front row for JG Speedfit Kawasaki after his first appearance in the one-lap Superpole format. Luke Mossey will start fourth on the Quattro Plant Tec-Care Kawasaki with Christian Iddon and Dan Linfoot completing the front row. Tommy Bridewell was visibly disappointed with seventh on the Bennetts Suzuki with Jason O’Halloran and Peter Hickman completing the front row. John Hopkins, who had shown promise after topping FP3, dramatically crashed out of Q2 to miss out on a spot in the final shoot out session.